I know you know how refreshing this is. Surely you’ve heard at least one painfully confused rendition and/or sample of Nirvana from either Jared Leto, Karmin, and/or Miley Cyrus? 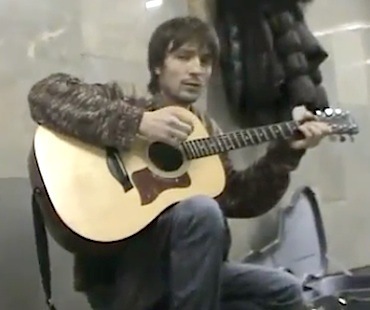 Go Russian Kurt Cobain! Reconsider your interest in fame and tour in the U.S.
Russia, know this music should be listened to only behind closed doors.